We are going to do justice to each of these points, revealing the tactics that can help you generate that much-needed traffic to your website. Let’s dive in right away. If you really want to submit your site yourself to the search engines, just focus on the major ones, and make sure that the only page you are submitting is your sitemap. We have discussed how you can create the sitemap in the previous entry. The sitemap contains all the links to other pages on your site. So it’s the best page to submit to the search engines. This way the search engine bots can easily follow the links in the sitemap to every other page on your website. Here is a list of some of the top 10 Search engines you can submit your site. You can access more search engine submission sites in this list of over 100 free search engine submission sites. An easy way to find out if your site has been visited by the web crawlers is to check in your stats program if you have one available to use with your hosting account. 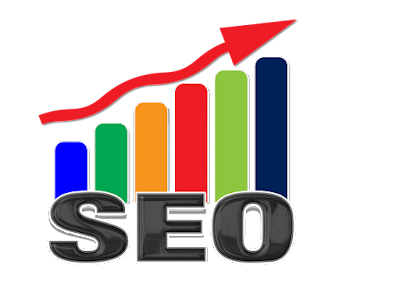 Don’t get suckered into spending a lot of money with firms that advertise search engine submission, nowadays, most sites are picked up very quickly by the search engines, what you really need to concentrate on is keeping those crawlers and bots coming back on a regular basis. You can do this by publishing fresh contents regularly or updating the old ones frequently, as we discussed below. It’s so disappointing to human visitors to visit a website or a blog and find it is still the same as the last time they visited it some months ago, and what’s more important, the search engines and their little crawlers and bots don’t like it either, you need to feed your website with new and updated information. A frequently asked question is “How often should one update his/her website?” If it’s just a personal blog that is just for your own self-indulgence then it won’t matter how often you update it. If your blog is trying to attract regular readers then you obviously need to post regularly. If you want to attract and get your visitors to routinely check out your blog every day then you will have to post every day. Search engines like blogs that are continually updated so bear that in mind if your main site is a blog. Static sites should be updated as needed, be especially careful not to remove already indexed pages unless you have a 404 web page not found page on your site. If you do update your static site, remember to update your sitemap too, i.e. if your sitemap is manually created. What is a 404 web page used for? You may ask. To answer that in simple language, when a visitor comes to your site from a search engine and you have moved the page they were looking for all they will see is a “page not found” this is the “404” page. You don’t want that visitor moving on to another site, so use this page to redirect them to either your homepage or your sitemap. Here is a very good tutorial on how to set up your own 404 page on your site. As previously mentioned, search engines love blogs; because of the regular contents creation and frequent updates. If you have a static website, one way to increase traffic to it is to start blogging. But what is a blog? A blog is a type of website that is usually arranged in chronological order with the newest entry (blog post) being at the top of the main page and the oldest entry being at the bottom of the last page. Like most things on the World Wide Web, blogs have come a long way since they were first unleashed on the internet. Nowadays, there are so many things you can do with a self-hosted blog that were unheard of in the early days of the internet. If you host your own blog on your own web hosting space, you can be in complete control of its content and what content you choose to add. On the other hand, with hosted blogs such as blogger.com, you have to ensure that your blog is in line with their terms and conditions of use. You do not have the same flexibility with a hosted blog as you do with a self-hosted blog. With relatively cheap web hosting and a $9.98 domain name, and thanks to content management systems like WordPress and Joomla!, your blog can be up and be running in less than 24 hours. If the thought of having to install software and setting up of the blog scares you, then there are lots of freelancers out there, like my humble self who will quickly set up your blog for you. Prices do vary from ridiculously cheap to frighteningly expensive, if you need your blog set up for you, you can use our services. We (myself and my partner) can create any type of website for you in no distant time. Our prices and very affordable. Contact me if interested. In just one statement I will stress the fact that you should use your keyword wisely. We are not going to go into a lot of depth on keyword research; that’s another topic of its own and also, there are enough publications out there on the subject already. With keywords, it is best to have a list of around 20 to 25 when you are creating a page for your site or your latest blog entry. Try to use each keyword or phrase only once, do not make the page/post hard to read by using too many of your keywords. With too many keywords on a page, the page becomes spamming in the eyes of search engine bots, and even your human visitors. With practice, you will be able to create great unique content and keyword relevancy for your site or blog and the search engines will reward you for this. When you are linking to internal pages within your site, don’t be lazy to use your keywords effectively. It is a good idea to use keywords to describe the page you are linking to. This is part of what we call onsite search engine optimization. Instead of something like “click here to go to the next page” use a keyword link that describes the page you are linking to. When naming your sites pages or blog posts, it is important to include your keywords in the title. Some of the search engines will use these to determine your page rank. You may choose to hyphenate your words, as this makes it easier for both your reader and the search engines to read. Remember to use the hyphen and not an underscore mark. The importance of link building to your website success cannot be overemphasized. Backlinks are still a major ranking factor for search engines today. One way you can get free backlink is to comment on quality blogs related to your niche. When doing that ensure your comment is relevant to the subject of discussion and make it informative to entice other blog readers to click your link to see what you have to offer on your site. Commenting on blogs is a good way to brand yourself and your business. And as stated above it is also a fantastic way to get a free backlink to your site, you can possibly target your specific keywords when linking with a blog comment. To find relevant blogs where you can obtain useful backlinks, go to Google or your favourite search engine and carry out a search for “do follow” blogs. “Do follow” means that when you leave a link to your website in your comment the search engines will see this as a valid back-link. Simply go to Google and use any of these search terms. “do follow” blogs, or blogs that follow. Pick out blogs that are relevant to your niche copy and paste their URLs to a text file on your computer for future reference. Select one blog at a time, read some of the entries, find one that you feel comfortable commenting on, where you can add value to the original post. Leaving a comment like “Great idea, thanks for sharing” is not a comment, it’s a spam line, so don’t do it. Give the blog post you are commenting on some real feedback if you can give or add additional information that will enhance the original post, do it. Before you submit your comment proofread to make sure that there are no typos or misspelt words, take the time to review your posting before you hit the submit button. If it is allowed, anchor text one of your keywords such as <a href=”http://www.yoursitename.com”>your keyword here </a>. You can target the main keyword of your site or a longer keyword phrase. Use a separate keyword for each blog comment. Do not use the same keyword on all the blogs you choose to comment all the time, search engines do not like it. Never ever spam someone else’s blog; you wouldn’t want them to spam yours, don’t do it to another person either. If you can try to comment on one “do Follow” blog a day, within a month you already have 30 backlinks pointing to your site for different keywords you are targeting. Guest blogging is another surefire way of getting backlinks to your websites. Do you have an “expert” level of knowledge in your niche? Could you become a guest blogger for other blogs out there that are in the same niche? In case you don’t know what guest blogging is all about, it is simply the exchange of content from one blogger to another. You approach other blog owners in your niche to get their permission to post on their blogs. Guest blogging is a win/win for both parties, blog owners win because they get excellent free content for their site; the guest blogger wins because they get more links back to their site. Use the search engines to find blogs in your niche that accept guest bloggers. Use search terms for your niche, for example, if your niche is “make money online tips” use the term “make money online tips guest blog” or “how to make money online guest posts” and compile a list of blogs that accept guest bloggers save it to a text file on your computer. Once you’ve compiled your list of blogs in your niche market, take a look at them and see if they accept blog posts on their sites. 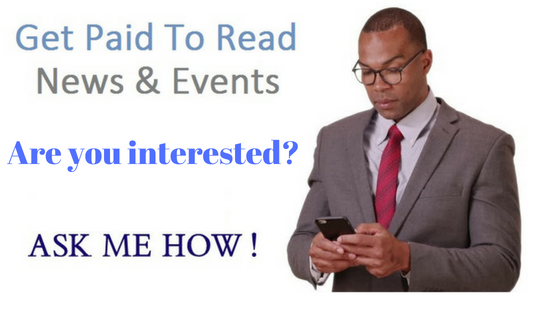 Search on their sites for links like “write for us”, “become an author” or “submit your article”. 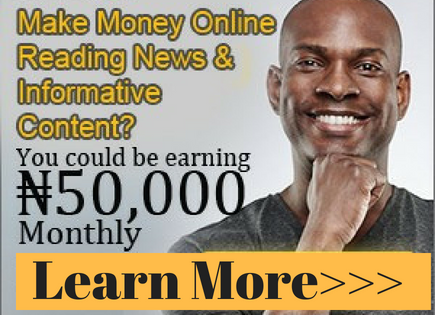 If you find any, click the link and submit your post, article, or offer to the site owner. Make sure you write good content for the other sites, if your submission is poor, it is unlikely to get approval and you’ll have just wasted your time. Your aim is to get visitors from this site over to your site, so make them want to find out more about you by creating an epic content to your best ability. If you are not a blogger, there are other ways to get links back to your site. One way is to give testimonials on sites you have purchased a product before. If you have purchased a product that you really like, can you write a short precise of the best points of using that product? Does the product owner publish testimonials on their site? If they do, submit your testimonial only if it is honest and true. Do not make up a fake testimonial just to get a link back to your site. Be honest and be sincere. Other people will read your testimonial and will remember it. Some website owners like you to submit a picture of yourself when you submit a testimonial others will only publish a short statement from your submission, it is up to the individual website owner as to how they republish your testimonial. Join some high traffic forums, sign up as a member, read their rules, never ever make spam posts just to get your post count up. Your aim is to become a valued and trusted member of the forum and for other forum members to look forward to your contributions. Once you have submitted your registration and been accepted as a member of the forum, look for a link that says “edit profile” or simply “profile” Use this to your advantage. Add your picture, your website link, add a signature file, you can use your site URL as your signature file, possibly including your main keyword. This is your billboard for the other forum members to find out about you and your site. Don’t leave it unused. This is a very valuable virtual real estate. Make sure you read the forum rules and comply with them. Find out how many links you are allowed in your signature file. Does the forum allow you to advertise in your posts, does the forum allow affiliate links, as long as you comply with their rules, you should be fine. Forum posting does bring traffic to your sites. A word of warning though, visiting forums can be a severe drain on your time, so visit wisely. Use Google and the other search engines to find forums that are in your niche target area, again, make a list of them in a text document, sign up with the ones that interest you and once approved, try to be a regular contributor. Here is an excellent resource to a list of top ranking directories. A list of blog or web directories to promote and increase traffic to your site. The listings on these directories are edited by real people, not automated scripts. 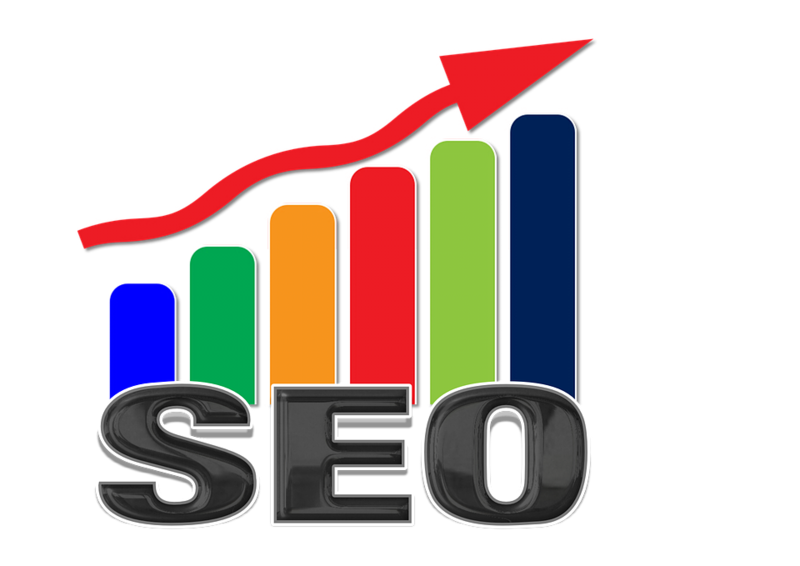 These directories are popular and having a listing will increase your traffic and ranking power. Make sure you write a meaningful description of your site when submitting your site to any of them. If you have a blog, seek out the top blog directories from the list and submit your blog to those too. Simply follow the sign-up information and submit your site. thank you for your sharing good information. its really great post for us. I like the post. this is the good blog site. good job.